The Office of the First Republican President has clarified that the newly formed Socialist Party President Fred M’membe never visited Dr. Kenneth Kaunda to seek support of any kind. In a statement made available to media today by the Office of the First President Administrative Assistant Rodrick Ngolo, the stories that appeared in the online publication of Daily Nation on 2nd of April and Daily Nation Newspaper on 3rd April 2018 are totally misleading. “The headlines in the Daily Nation online Publication dated 2nd April 2018 which states ”KK endorses M’membe” and also Daily Nation Newspaper dated 3rd April,2018 which states “Desperation failure” are not true and misleading,”stated Mr. Ngolo. 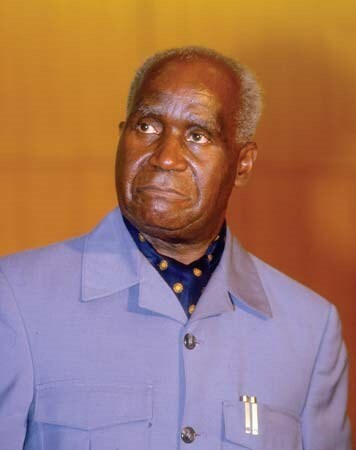 Mr. Ngolo stated that Dr. Kenneth Kaunda is above party politics and will always support the government of the day.He further urged media organisations to verify matters concerning the First Republican President with his office in order to avoid issuing unconfirmed statements which will bring the name of Dr.Kaunda into reproach.